I’ve got the most gorgeous perfume to share with you today! 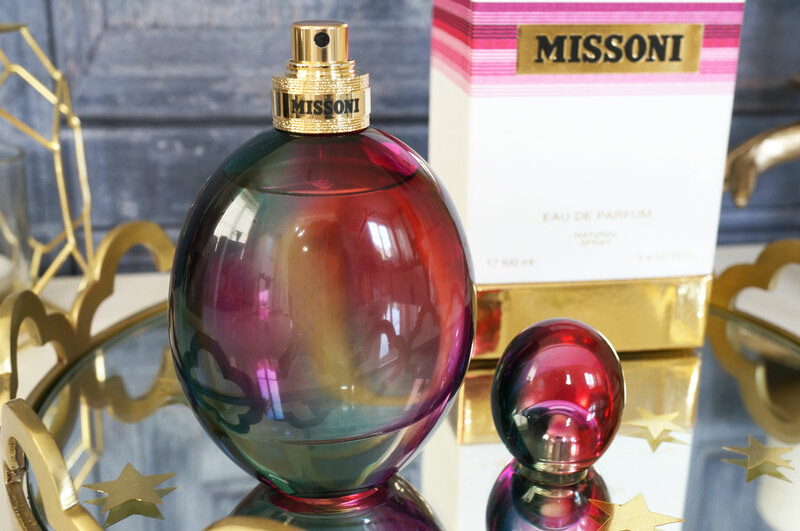 The self titled – Missoni Eau De Parfum is as beautiful on the outside as it is on the inside. Firstly let’s take a look at the bottle – Angela Missoni took inspiration from the art of Venetian blown glass to create a unique bottle featuring beautifully flowing jewel-like shades of purple, fuchsia and green. It looks stunning when it catches the light! And the cap is wrapped with a golden collar specially created to resemble the thread of the fabric. It’s colourful, unusual, and definitely striking. It truly is a beautifully unique bottle, I haven’t seen anything like this before! 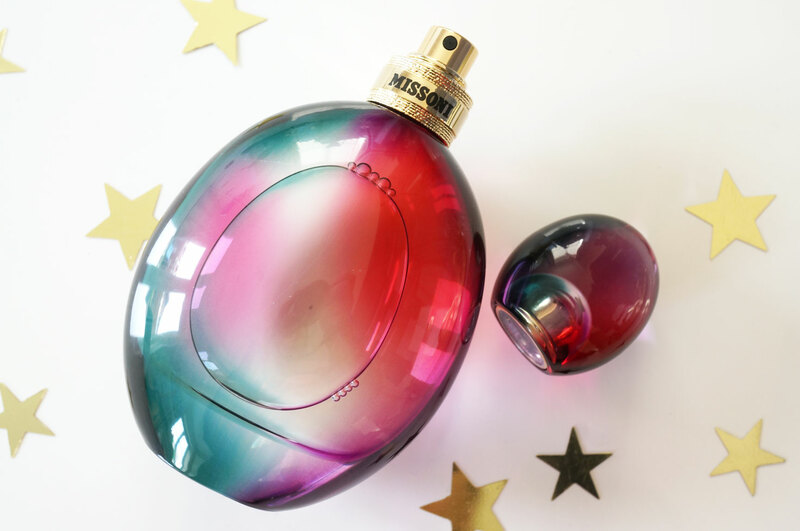 Missoni EDP is described as being feminine, sensual and iconic. This is a fragrance for a modern woman, decidedly feminine and confident. This is a woman aware of her own presence, who wears this scent as a dress that glides on the body, enhancing the vitality and charm it offers. Mahonial, petalia and jasmine sambac, and base notes of Ambra, tonk a bean and sandalwood. I love this perfume, it’s definitely a welcome addition to my collection and I highly recommend you try it if you can! 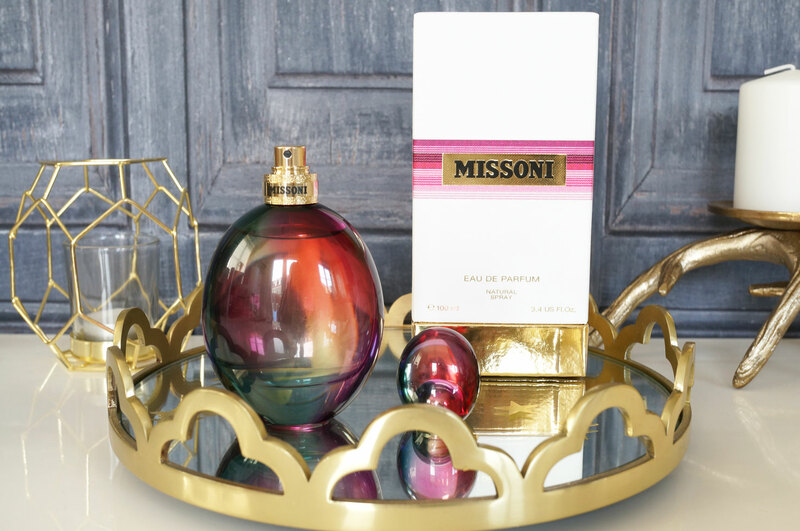 Missoni Eau De Parfum is available now from Harrods.